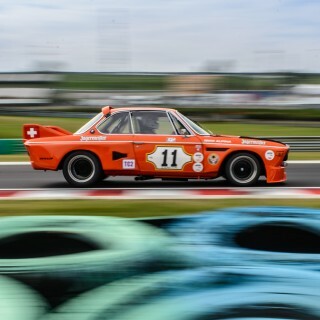 Today’s story begins in Germany, continues in the US and then returns to the continent, albeit Hungary. It has four wheels and drives like a car. 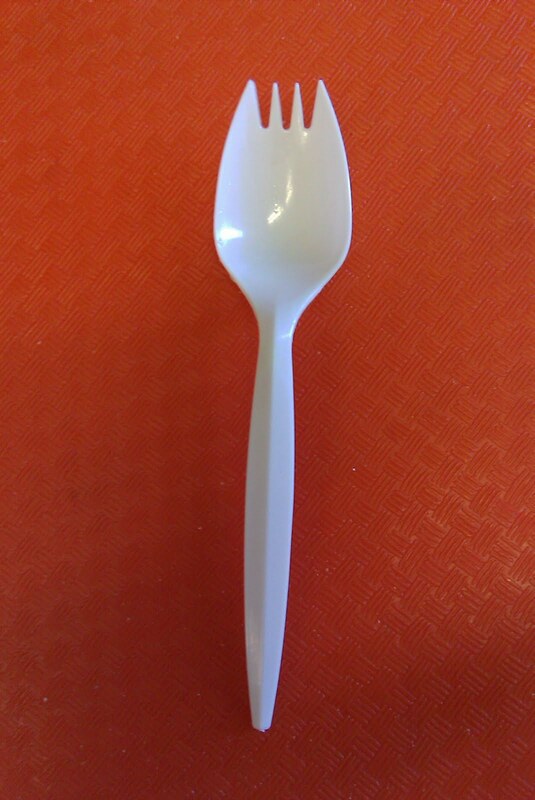 It also has twin screws and swims like a boat. 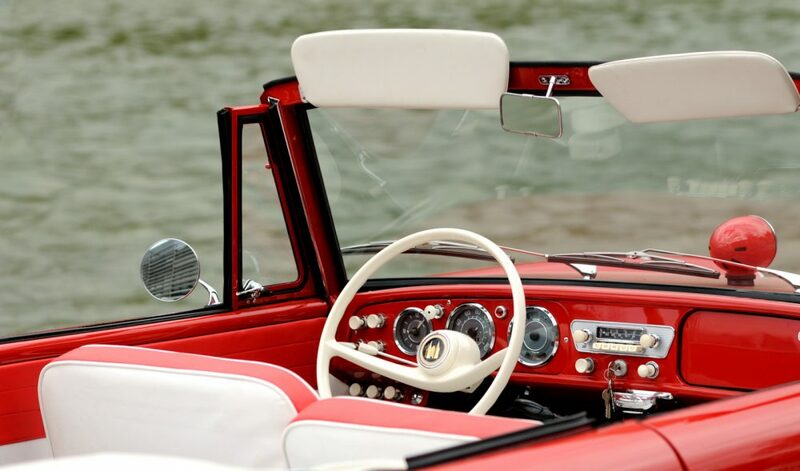 Welcome aboard the Amphicar 770! It isn’t a particularly good car, nor is it an especially good boat. 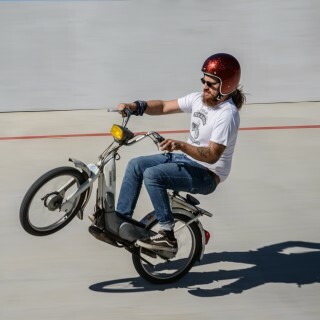 Frankly, the car doesn’t make much sense; it’s essentially an absurd recreational vehicle. But that’s why people love it. 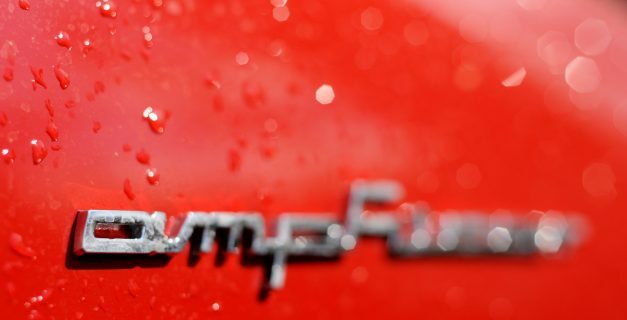 “Amphicar—the sportscar that swims” reads a sixties advertising slogan. It was a ‘sportscar’ that achieved 60 mph in forty-three seconds from dead stop yet cost as much as a Mustang. 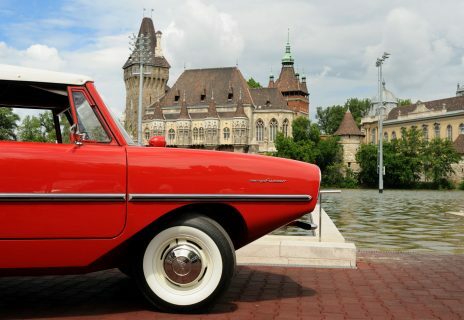 Maybe it’s the perfect recipe for disaster, but the Amphicar did find a handful of buyers and enthusiasts, primarily in the USA. In 1961, German Hans Trippel launched the Amphicar as the world’s first mass-produced amphibious car at the New York Auto Show. Obsessed with producing a viable water/road-going combination, rumors say that Trippel built over a thousand prototypes. He was a racing driver turned engineer who ran Bugatti’s Molsheim, France plant during the German WWII occupation. He also achieved some fame for engineering the famed Mercedes-Benz Gullwing doors. 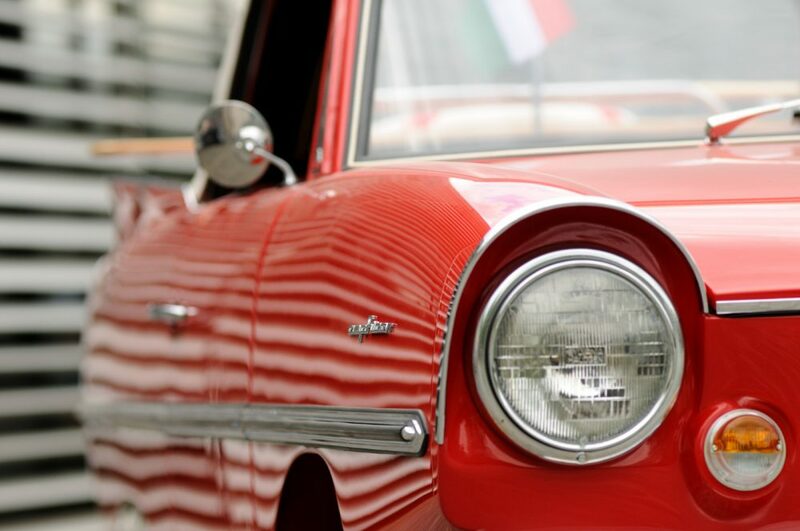 Much of the technical knowledge to build the Amphicar came from the development of the WWII Volkswagen Schwimmwagen. 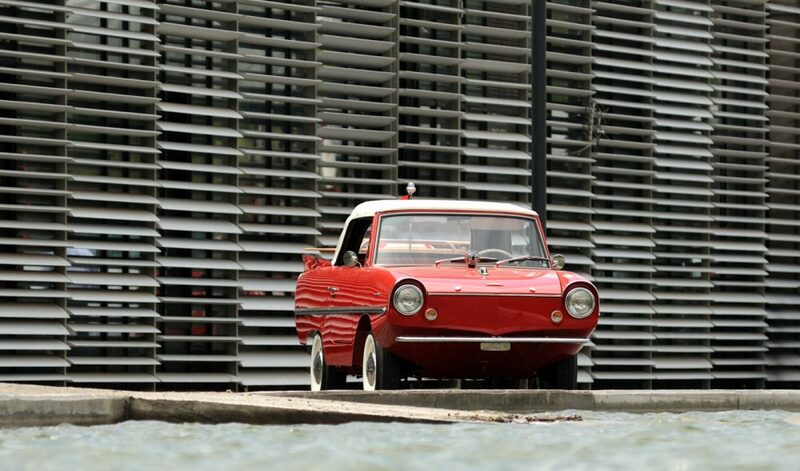 But the Amphicar ultimately became Trippel’s most important project. The name 770 is derived from the fact that it could achieve 7 mph in water and 70 mph on road. 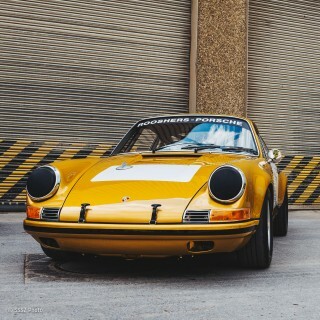 The 43 horsepower four-cylinder, water-cooled engine in the back comes from a Triumph Herald and is connected to a four-speed manual gearbox developed by Hermes based on the Porsche 356 transmission. First prototypes used the Mercedes 190 SL’s engine, but it proved too heavy for the little Amphicar. 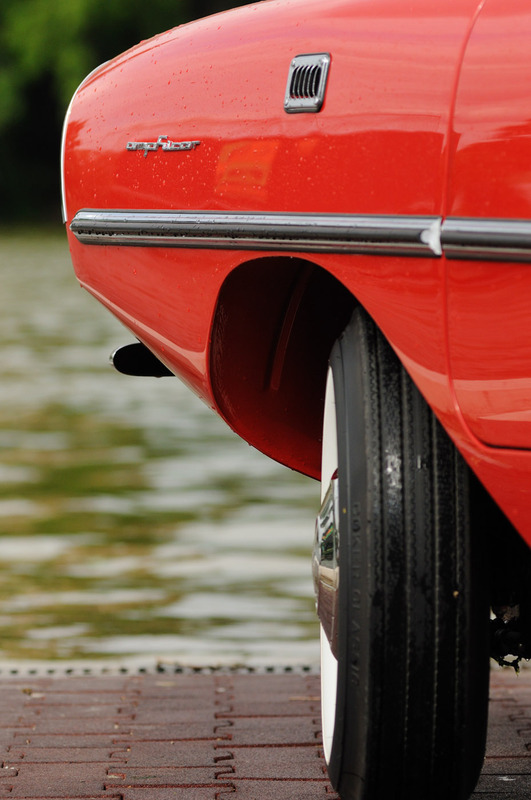 In first gear, the Amphicar is capable of climbing the thirty-nine percent gradient usually needed to exit the water. The car was built necessarily tall to enable it to enter and exit high shores. For swimming, the 770 uses a separate water transmission controlled by a simple transfer lever with forward and reverse positions. There is no rudder as the front wheels steer the car in water, just as on the road. Inside it’s fairly conventional, except for waterproof upholstery, the two water transmission transfer levers and extra locks at the bottom of the doors that help keep the vehicle watertight. Buyers could even find a paddle and an anchor designed for the car, listed as options. On the exterior, aside from sharp departure angles, the Amphicar has navigation lights and a flag mandated by Coast Guard regulations. 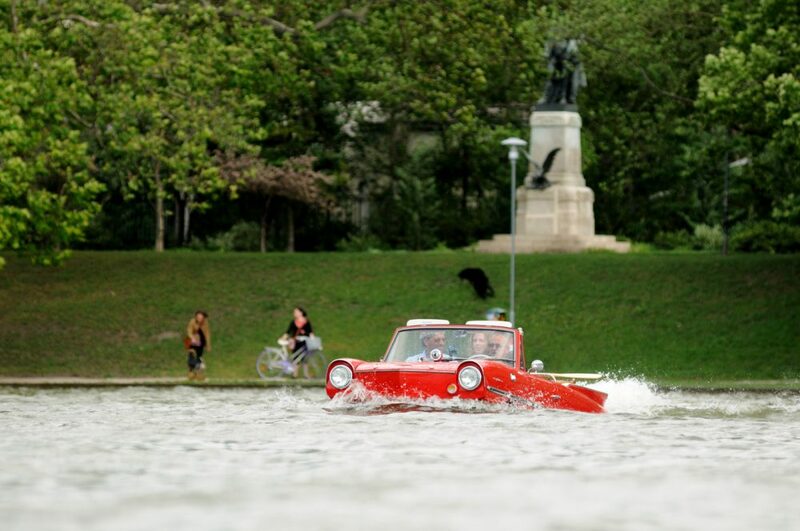 In the water the Amphicar is a boat, so it has to have papers needed for boats and in some countries the driver also needs a license for driving a boat. 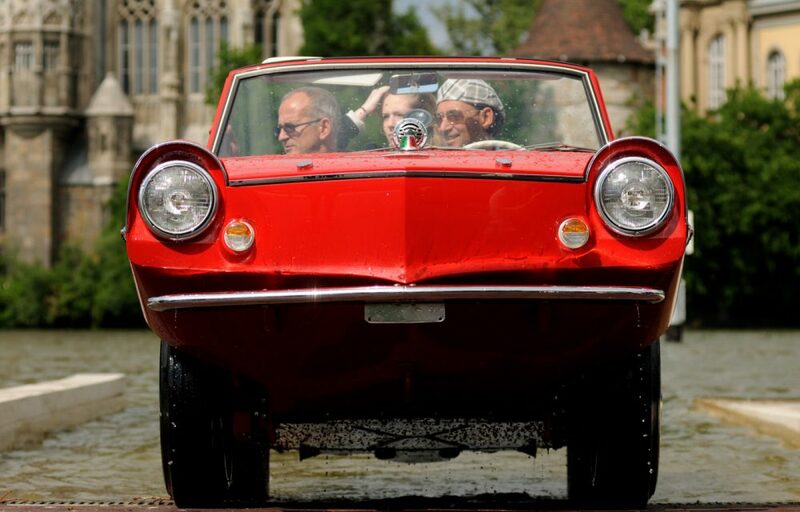 Trippel helped generate buzz for the Amphicar by hiring a stunt driver to cross the English Channel in an Amphicar. 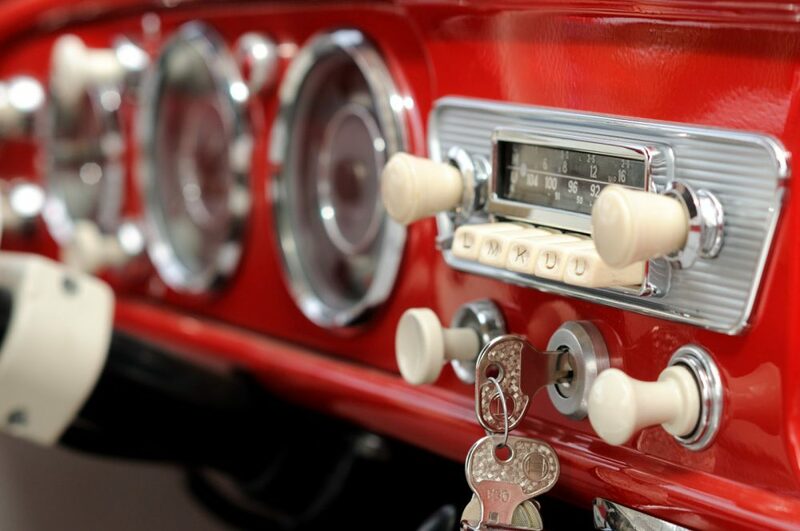 The promotional channel-crossing generated huge interest on the American market, which eventually took about 80-90 percent of the total production of 3878 units before production shut down in 1967. 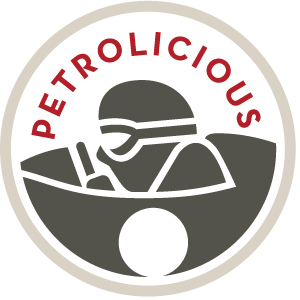 The manufacturing (every car had to pass a waterproof test in a diving pool) was very expensive and development costs of roughly five million dollars ultimately doomed the company. Sadly, production never reached the planned 25,000 units. 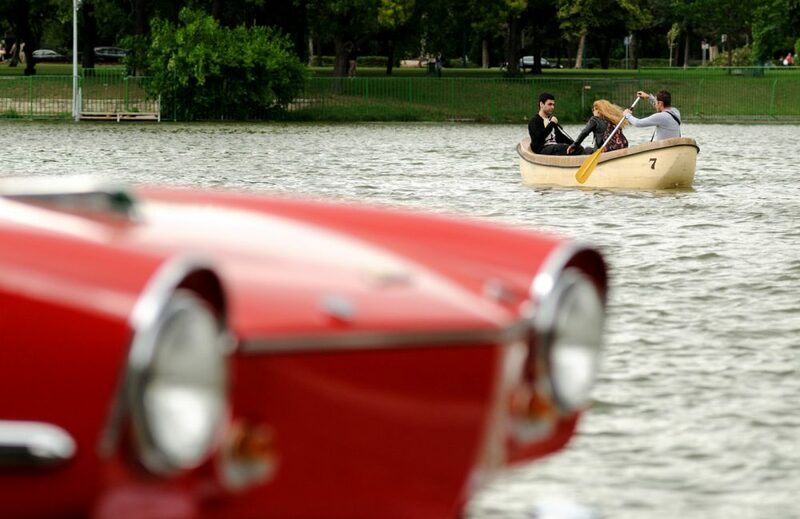 Today however, the Amphicar has a rabid following is more popular than ever due to its uniqueness. This Hungarian example was imported from the US with a lot of rust and in very poor condition (due to use in salt water). It underwent a thorough, nut-and-bolt restoration to achieve its current factory condition. 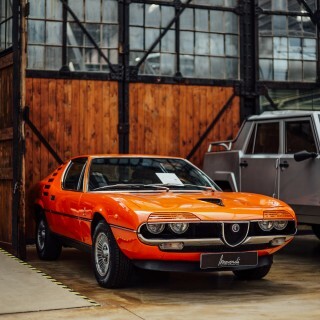 Most of the original parts were restored and those too far-gone were purchased from Gordon Imports in California, who bought all of the remaining components after production halted in Germany. As far as we know, this is the only example in Hungary and there are only around 100 total in Europe. 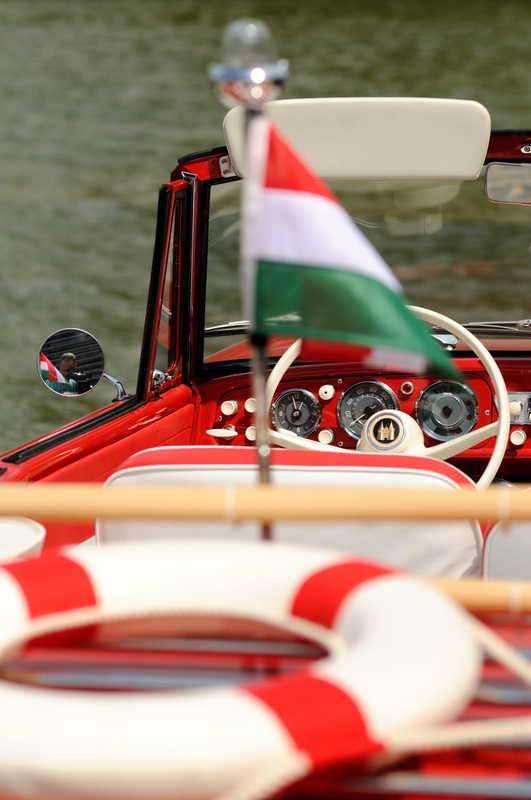 These photos were shot during the car’s debut to the owner’s friends in an artificial lake in the middle of Budapest, Hungary. The owner was excited and worried simultaneously as his newest toy slipped into the water. It’s not too often that you drive your freshly restored $40,000 car into the water and definitely not on purpose! And although the artificial lake is only 70 centimeters deep, it was enough for the swim. 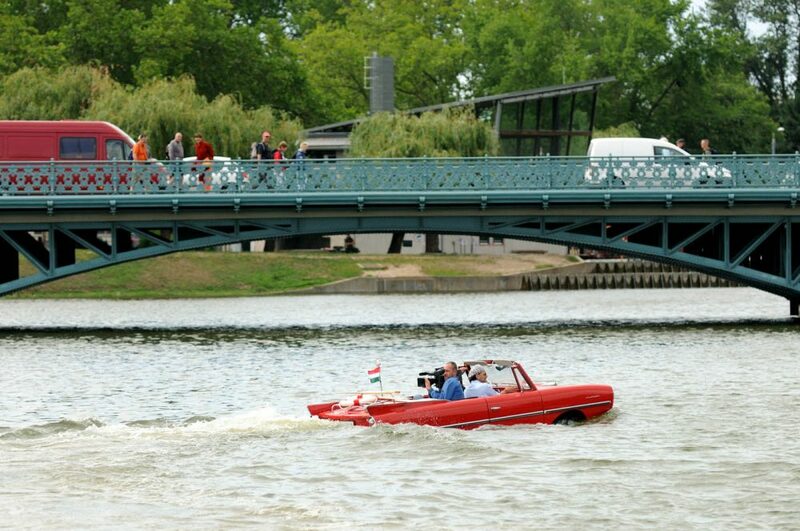 The one and only water cruise, as this Amphicar will never swim again as long as this collector owns it. You see, after an Amphicar has been in water it has to be greased in 13 places, some of which require removing the rear seats. 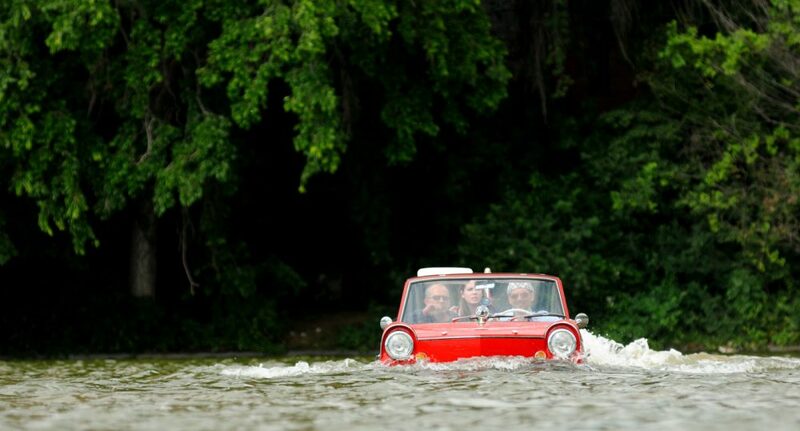 But in spite of a labor-intensive maintenance regimen, the Amphicar is good for one thing: fun. It’s not quick or flashy, but it’s iconic, unique and friendly. 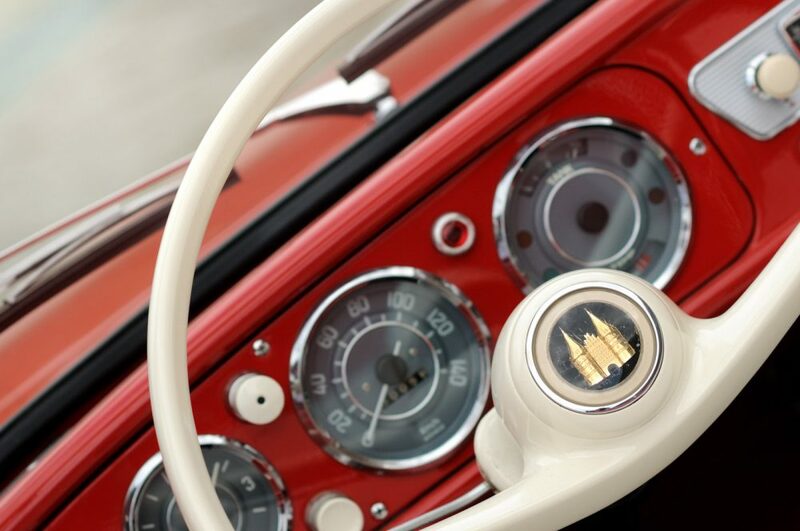 What more could you ask from a vintage car? 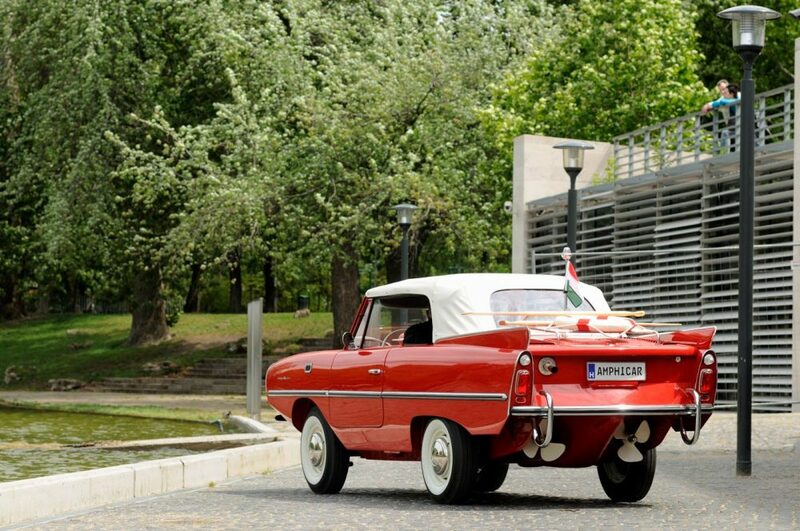 Furthermore, if you’re a sailor, an Amphicar will save you trailer costs, launching and docking fees. 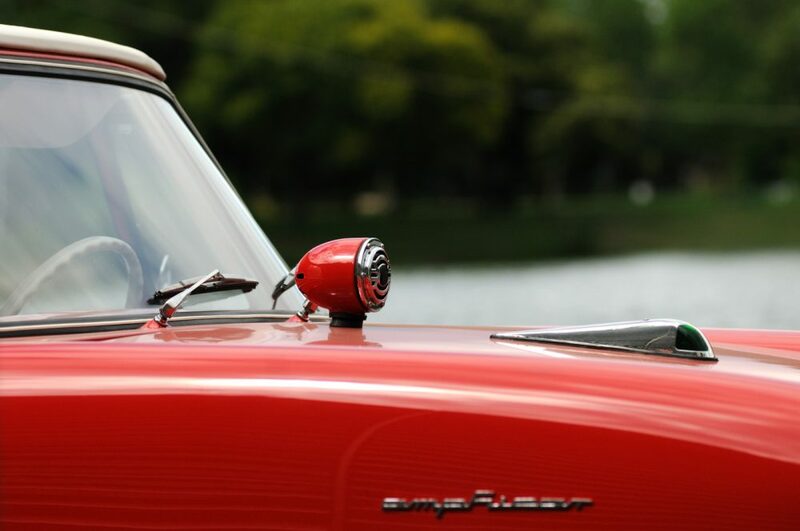 The Amphicar might not make any sense and that’s precisely why it’s so wonderful. 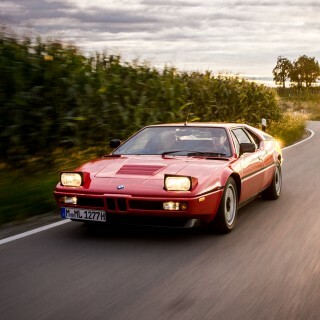 When I was a kid, a family down the street had a light blue one with Pepsi stickers on the side. If i remember right they owned the Pepsi distributor for our town. Not sure if the car itself was connected with the 1968 Pepsi commercial that showed an Amphicar driving into a lake at 50 mph or if they were inspired to put them on because of it. Nice, I was able to witness an Amphicar meeting at the Lago Maggiore in Italy some Years ago. Seeing at least a dozen of them driving as well as swimming really is a rather impressive sight. As an Amphicar owner, I can assure you that many of them are still used regularly in the water. They are surprisingly seaworthy. They indeed draw attention like no other vehicle. Do you find the maintenance required of sea-going Amphicars to be difficult or easy enough and worth it?